Todayâs article provides a routine for the lucky times when your hair fully cooperates and you would like to preserve those curls for the next day, and possibly the day after that. The first rule of thumb is to never go to bed with wet curls. 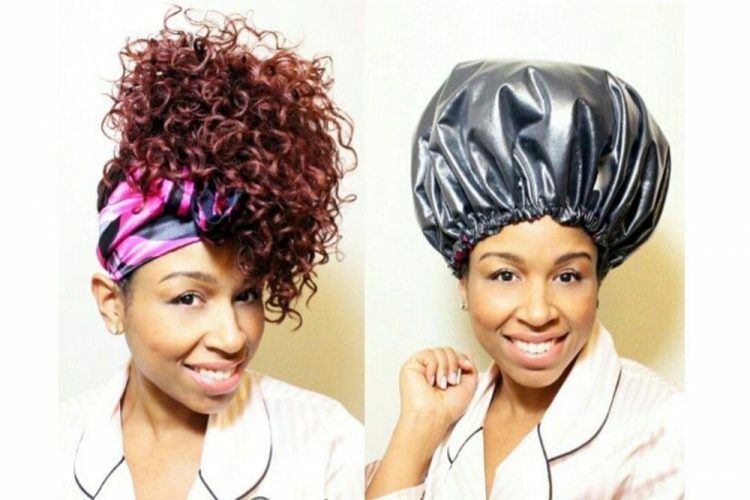 Your hair should be completely dry to avoid frizz by morning. Apply a small amount of moisturizer or leave-in-conditioner to your hair, followed by an oil of your choice (coconut, olive oil, argan oil) to help seal in the moisture. You can either apply the oil using a spray bottle, or gently with your hands, so that you do not disturb the curls too much. The next step is to loosely pin your hair to the top of your head, in what is called a âpineappleâ. To keep the hair in position, you may also use a stretchy hair tie, before covering your hair with a silk bonnet or a silk/satin scarf. If you are a wild sleeper, we suggest sleeping on a satin pillowcase rather than a cotton pillowcase, so that the product from your hair is not absorbed while you sleep. In the morning, simply unpin or untie your hair, mist it with a little water to refresh the curls and apply a gel of your choice accordingly to take care of any little frizz.